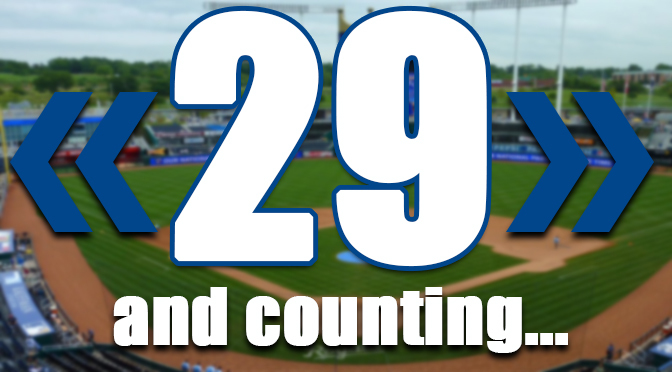 At 29 games, the Royals must win that number over the course of the remaining 44 in order to lock up a division title. This number is also based on the number of losses by the second-place team, in this case the Minnesota Twins, and how many games KC would have to win without allowing the Twins to get within 5 games of first place. Still confused? The easiest way to think about it is to just pay attention to the Royals’ number of wins as they finish out the schedule before heading to the playoffs. Like they’ve done all season, Kansas City simply needs to keep recording victories and finish with an above .500 record from here on. With the rest of the American League Central struggling to gain any consistency or show any flashes of light, the Royals continue to build a massive divisional lead (currently 14.5 games). Ned Yost and his ball club have their sites set on the overall best record in the American League, too. Both a division title and the best record in the AL would cap off a tremendous season for Kansas City, particularly considering most pundits picked them either 3rd or 4th in the standing prior to the season. Instead, KC picked up right where they left off last October by playing winning baseball and taking the league by storm. As of late, both newcomers–Johnny Cueto and Ben Zobrist–have been on fire. Cueto has won his last two starts, while Zobrist has seemingly had a hand in every win over the past 12 games in which the Royals have amounted a 10-2 record and four series wins over the White Sox, Tigers, Angels, and Reds. Next up for Kansas City is a four-game series at the Boston Red Sox–a team having dealt with plenty of structural change of late, including manager John Farrell taking the rest of the year off after his diagnosis with Leukemia. Following the loss of Farrell, Boston then replaced former General Manager Ben Cherington with recently departed Tigers GM, Dave Dombrowski. Whether or not the changes will have a negative impact, or at least cause some level of distraction, is unknown, but needless to say, the Red Sox have experienced a season to forget. For the Royals, the goal still remains solely focused on wins and a disorderly Sox team isn’t a reason to let up on the gas pedal. With few home games left in the season before the playoffs, be sure to visit Tickets For Less to purchase your seats at Kauffman Stadium. Enjoy incredible value on the best seats in the house with no hidden service fees. Ready to purchase for the playoffs? Tickets For Less has 2015 MLB Postseason tickets available for all potential series. Don’t miss your chance to reserve a place in history as the Royals seek back-to-back World Series appearances!